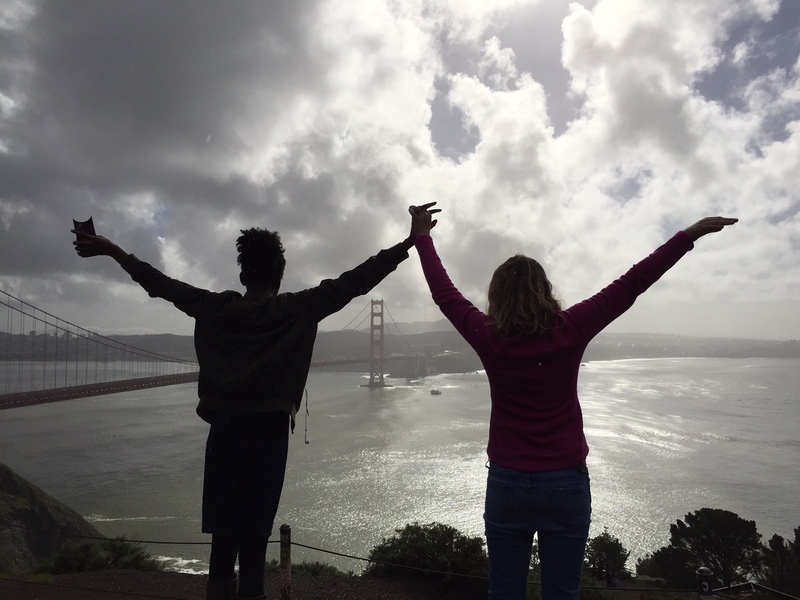 We got back last evening from our biggest field trip of the year–San Francisco! The trip was a huge success. Here are some highlights. Yikes! The BART train not only jerks you around, it makes extremely loud noises! 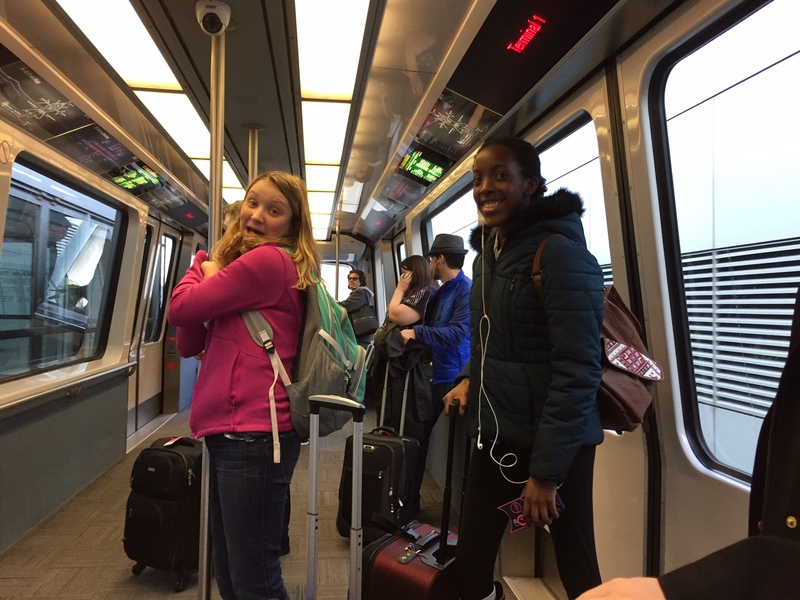 We arrived without any trouble or fuss at the San Francisco airport and then rode the BART train to Union Square, where our hotel was. My sister was attending a conference at Union Square, so chose a hotel across the square from where her conference was held. We did not rent a car, but instead, rode public transportation the entire time. That, in itself, was a big adventure for us. Where we live, most people I know drive everywhere, all the time. We loaded an app on each phone, and then purchased tickets for unlimited rides on the MUNI system. It included the cable cars, but not the BART. Whenever we rode, we just showed our phone. No paper tickets involved at all and we could hop on and off all we wanted. 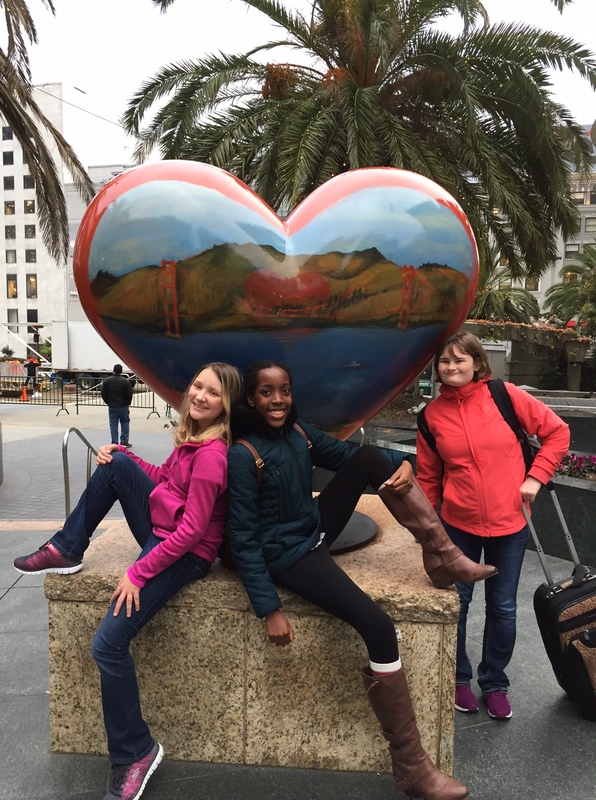 They left their hearts….in San Francisco. This heart is in Union Square. We walked into Chinatown for dinner. Our concierge gave us a bum steer to a Chinese restaurant that was supposedly gluten-free. It wasn’t. We were HUNGRY, so just took off down the street until we found another restaurant that my sister had found on a gluten-free app. It ended up being a Spanish tapas restaurant, and we ate delicious tapas. We walked and walked and finally ended up riding a MUNI bus back to the hotel. 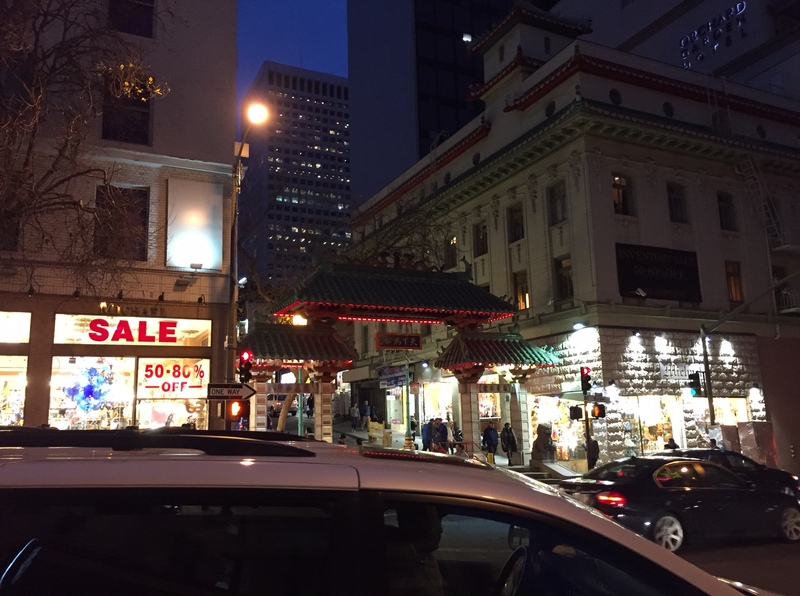 We had a great walk through Chinatown, with no rain, and got full! Friday morning, my sister went off to her conference, and the girls and I went sightseeing. After eating breakfast, armed with many destinations on my phone, we tried to catch a cable car toward the wharf. Unfortunately, by this time of the day (late morning), the cable cars were full and kept whizzing past us with the conductors waving their hands at us and saying “catch the next one, this one’s full.” So, we would walk another block or two, hoping for better luck at the next stop. We walked for miles, straight up steep hills and down again. Literally. Each time, hoping that we would find a better place to get on. Finally, I realized that the Cable Car Museum was only a few blocks away, so we walked the rest of the way there and went in. It was wonderful and very informative. 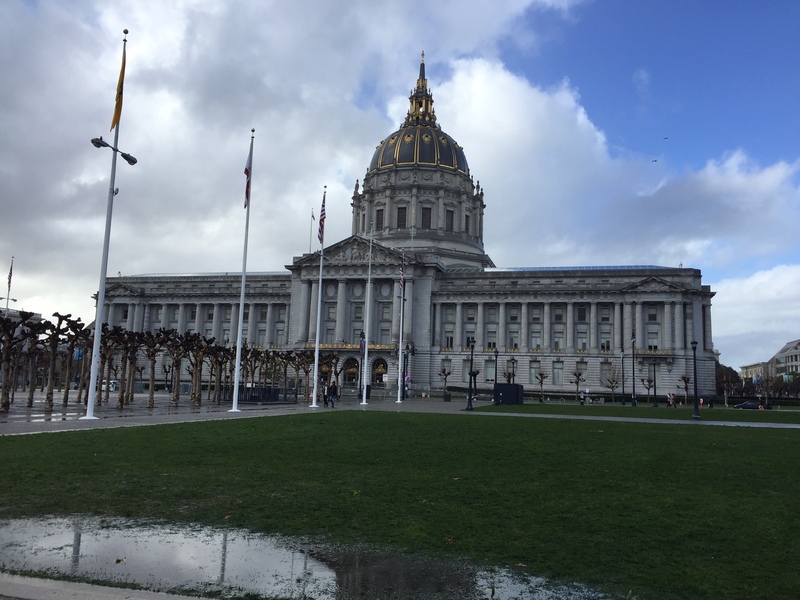 It told history of the area, cable cars, and how they work. It was also free. 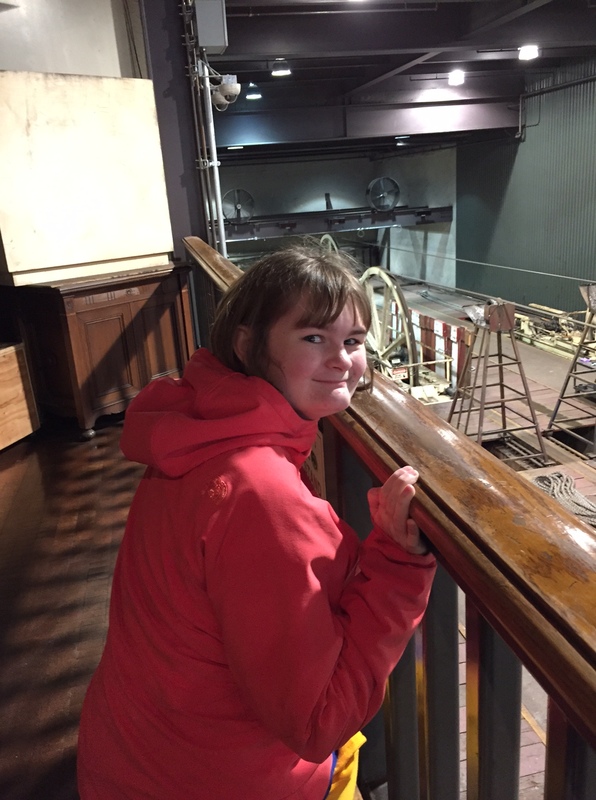 Michaela loved this museum. She did not love walking as much as we did that day. 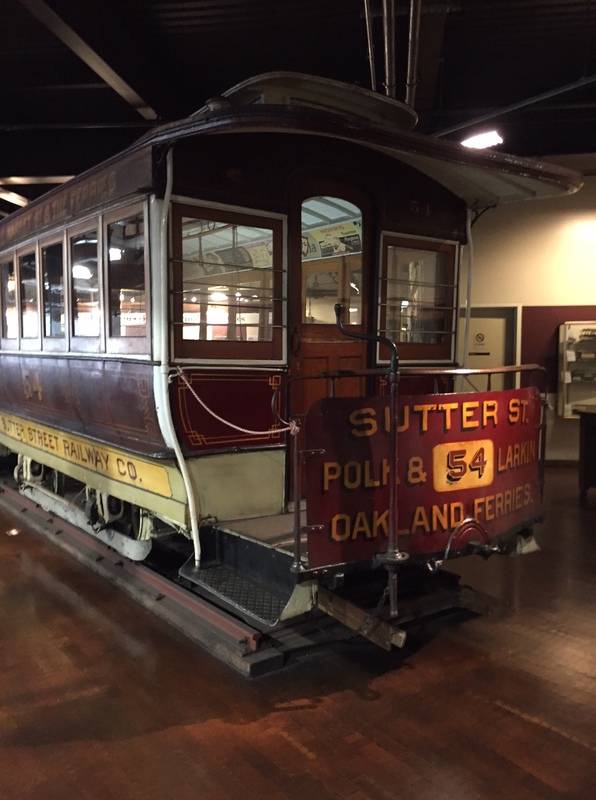 So, after enjoying the museum, a friendly cable car operator sent us to the right place, and we were able to hop onto a car. We rode the rest of the way to the wharf, to our specific goal, Ghiridelli Square. They proceeded to have ice cream for lunch and to buy chocolate! It began to rain quite heavily, but we had no trouble at all catching a cable car back to our hotel. We had dinner near our hotel with my sister, who was done with her conference for the day. The restaurant was in a several-story Macy’s store, which the girls went wild over! On Saturday, we had a plan that worked much better. We got on the cable cars much closer to the beginning of the line, and had no trouble getting a seat. It did take 2 tries, but we got one. 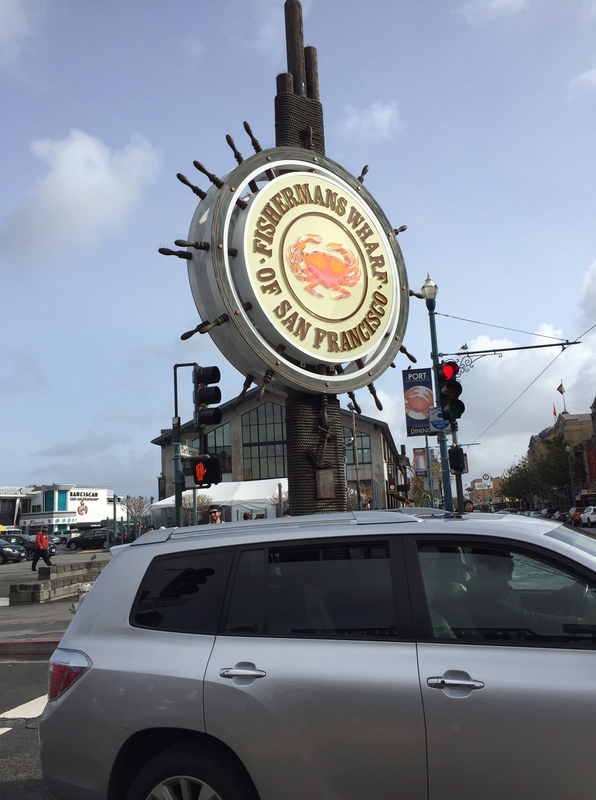 We rode down to Fisherman’s Wharf again, and continued where we left off on Friday. 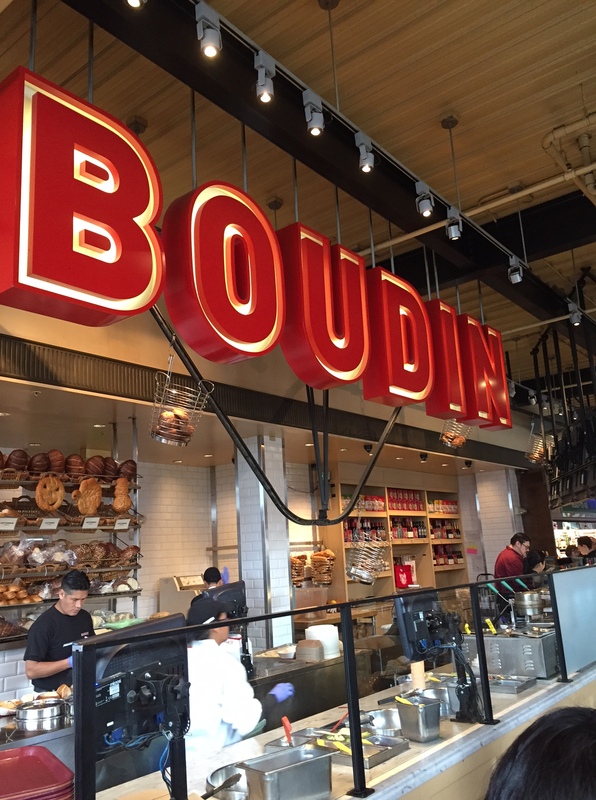 Alissa and Michaela enjoyed eating bread at the Boudin sourdough factory. Ja’Ana wanted an In-and-Out burger, because we don’t have them in our part of Oregon. We went through the museum there. Here’s a tip: If you eat downstairs, you have to pay for the museum. If we would have eaten upstairs, the museum would have been free. As far as I can tell, the bread was the same bread either place, but there were more entrees upstairs. Thankfully, the cost of admission was not expensive. We spent the rest of the afternoon on Fisherman’s Wharf. In the late afternoon, my sister joined us and we walked around some more, and then ate dinner at Rainforest Cafe. What I love about that place is that they will cook food that I need. My sister and I are both gluten-free. So, I asked for plain rice, plain chicken, and plain vegetables. That’s exactly what I got. Phew! My tummy was the happiest it had been all trip. By the time we exited the restaurant, it was pouring rain and quite dark. We decided to ride the train to the ferry, then transfer to the MUNI subway train. Things were not running quite normally, due to a protest march, we were told, but that was a good, easy way to get back. In reality, it was a little harder than that. We got to the ferry easily. Upon leaving the train, we were told to walk 1 block up to the station, go down the stairs, and ride the subway train to Union Square. So, in the pouring rain, with our umbrellas turning inside out at times, we shoved and pushed our way through the edge of a huge crowd of protesters, waving signs and chanting–some quite angry, but most peaceful, surrounded by a multitude of policemen. We put the girls between us, and tried to stay together as we threaded our way through the huge mass of people. Crowds are especially difficult for Michaela, but she was a trooper. We reached the subway station and waited on the platform for the appropriate train. The march was ending and the station filled with people. We crowded onto the train, which became so full that they could not close the doors, there were so many people. Once we reached our stop, we almost could not get out, but my sister shoved her way through, pulling Michaela. Ja’Ana followed, then Alissa, then myself. At one point, tiny little Alissa wasn’t making any headway and I gave her a huge push through a little crack in the people and popped her through like a watermelon seed going through someone’s fingers. She told me later, she felt she would have never got out of there without that push! I was able to shove through behind her, and we were free. We climbed up the stairs, and exited into a deluge of rain. After walking several blocks, we were delighted to wrap up in blankets and get all cozy and warm in our hotel room. The girls were still keyed up, so they went to the exercise room, exercised, and then went and got some french fries from the restaurant. Oh, to be young!! Sunday was the tour my sister had booked for us. We had a wonderful driver, and we saw many sights, despite the rain that developed. He took us to the bridge while it was still sunny. 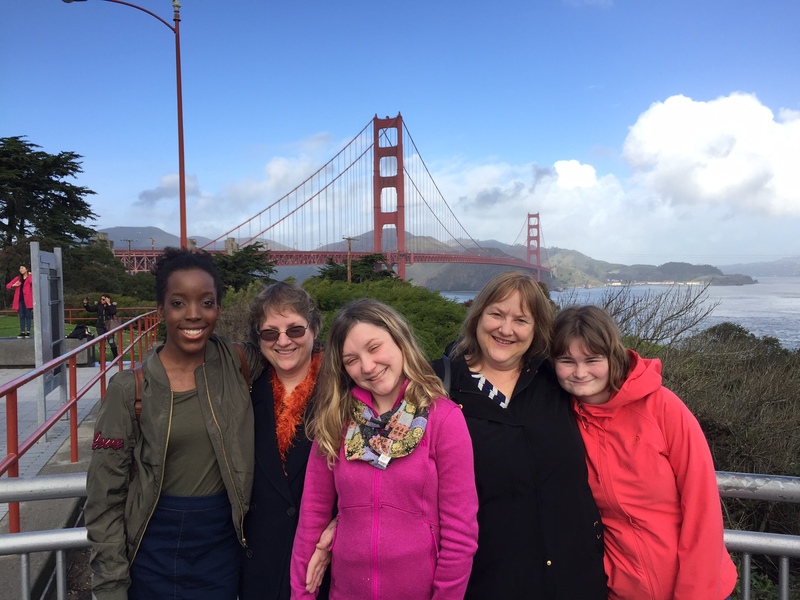 We had studied some San Francisco history before we went, and the museums and this tour helped solidify some of those facts for the girls. We saw the Muir Woods. There were redwood trees there, and hiking trails. The trail we tried to hike down was blocked by flooding–it’s been raining a lot there lately. We still enjoyed ourselves. He also drove us around the city, showing us neighborhoods, city hall, and more. He told us about the hippie movement, and other historic aspects of the city. On Monday, it was time to come home. We had a blast, but missed the rest of our families we left behind. Today, it was back to the grindstone! 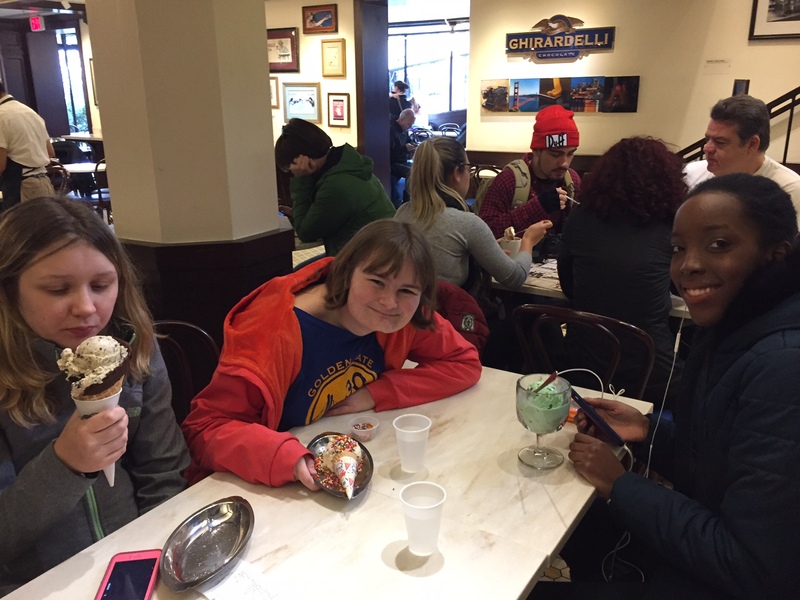 Vacations can only last so long, but trust me, the field trip queen (my sister, Gail) is already formulating a plan for the next, great field trip! What a fun trip! 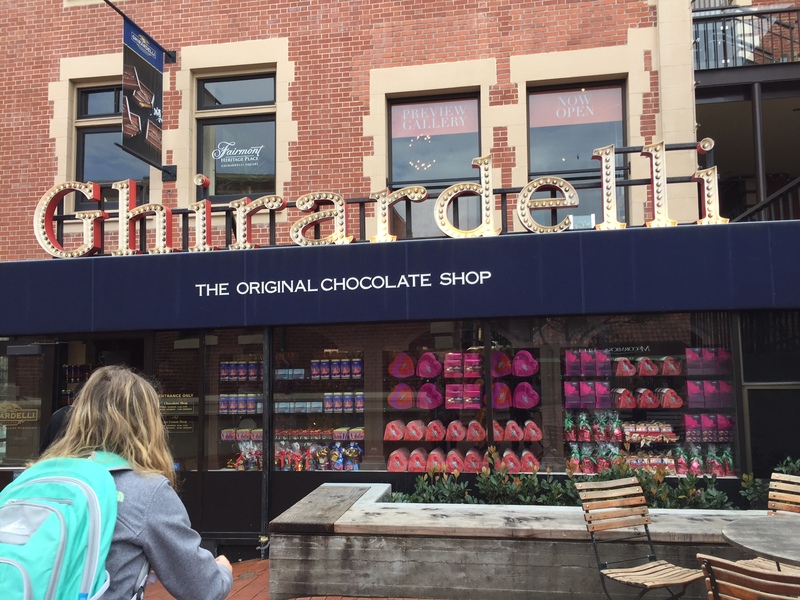 I went there once years ago (80’s), and went to many of the same places… Chinatown, rode the cable cars, Ghirardelli Square and Golden Gate Park. I know you were making some special memories for you and the girls. Thanks! We had a great time. We just took it easy. I would have loved to get to Golden Gate Park and see the conservatory and botanical garden, but we ran out of time. I’ve been the San Francisco once and it is truly a magical place. 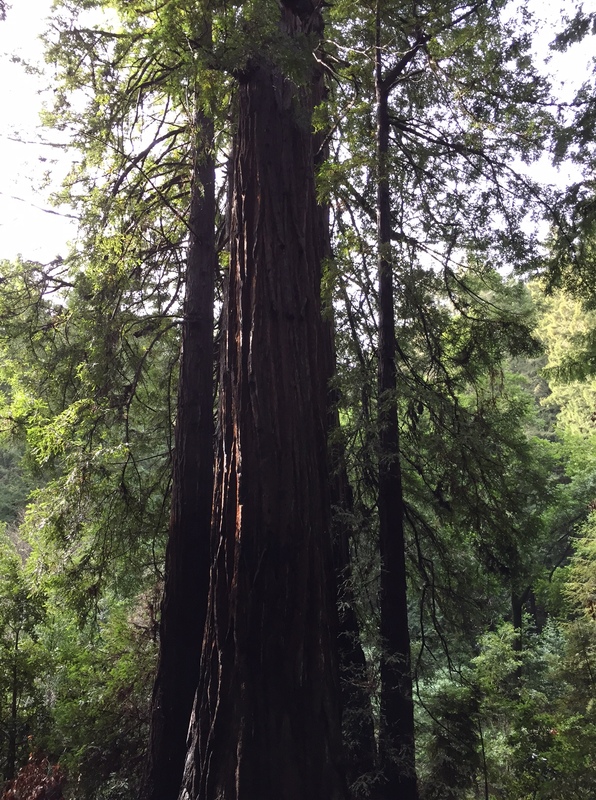 I’d have to say Muir Woods was my favorite of all the places I visited. Being from a large city – Houston- the air in the woods was like nothing I had ever breathed. So glad the girls got to have this nice trip. We enjoyed Muir Woods as well. I do recall a spicy, woodsy smell. We took the girls to the Redwood Forest a couple of summers ago after a mission trip, as well (including Alissa). Those trees are so majestic and I think they are so special. Even coming from Oregon, where we literally lived in a forest for the last 10 years, those trees are something special. I was glad it wasn’t their only time there, because there was so much flooding that we couldn’t take the hikes, the trails were flooded.